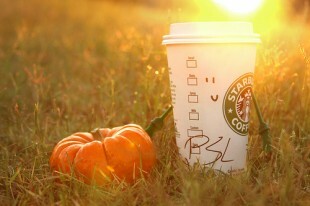 For years, people who happen to be white have found the pumpkin spice latte to be one of the best parts of fall. “I just love the warmth and flavor of the pumpkin spice latte,” reports junior Abbey Peterson, who grew up in an upper class suburb of North Carolina and is, purely by coincidence, white. “Honestly, I just can’t imagine fall anymore without the spicy caffeinated tingle of this drink,” continued Peterson, who owns two pairs of Uggs because of how comfortable they are and is an active member of Alpha Phi, although none of this really has anything to do with her enjoyment of the warm beverage. What still remains on your bucket list? What Should Obama Announce his Endorsement for Next? What is your favorite lie to tell a ProFro? Will you Call me, maybe? Who was your favorite music act at Coachella this past weekend? What Holiday did you Celebrate this Week? Which Holiday did you celebrate this week? How Would You Describe Your Schedule for Spring Quarter? Would You Rather Eat Only Fruit Roll-Ups for your Entire Life or Drink Only Hi-C? Would You Rather Eat Only Fruit Roll-Ups for the rest of your life, or drink only Hi-C? How Did it Get to be Week 9 Already?!?!??!?!! How did it get to be week 9 already?!?!? !